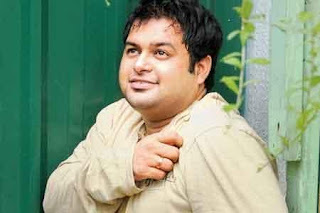 Music composer Thaman, who is making waves in Kollywood and Tollywood, has started a band in association with his close friends. Titled 'Thakkali', the team features popular names like Ranjith, Rahul Nambiar and Naveen Madhav. "Our bunch of friends are foodies and we grew up in Chennai. So we thought of naming our band after tomato, an inevitable ingredient in most of the dishes cooked here," says Thaman, who started his career as an actor, in director Shankar's 'Boys'. Very soon, the band will bring out a non-film album, which will be its tribute to the spirit youngsters. "We are working out on it and an official announcement will be made soon. There will be a song on social issues too," Thaman says. Shuttling between Chennai and Hyderabad to honour his commitments in Kollywood and Tollywood, the music composer says he is happy that his recent bilingual venture 'Kadhalil Sodhappuvadhu Yeppadi' ('Love Failure' in Telugu) has made it big in both the languages. 0 comments for "Music Director Thaman Joined With 'Thakkali'"